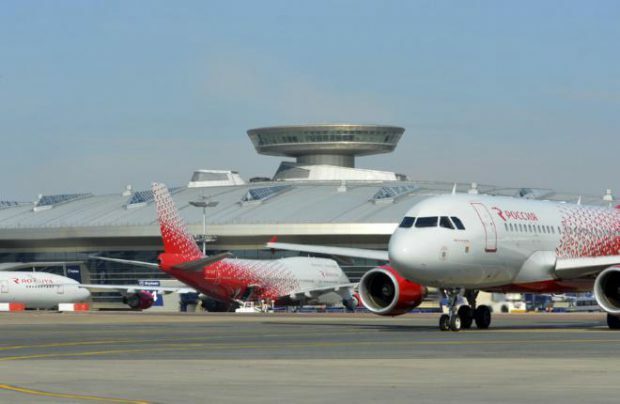 Engineering Holding, a Russian aviation MRO provider, has landed a massive contract to repaint Rossiya Airlines’ aircraft in the carrier’s new livery. This particular job was won through a broader tender organized by the St. Petersburg-based airline, a part of Aeroflot Group. Foreign specialists secured Rossiya’s other painting lots. Engineering hopes to see further growth in the popularity of the aircraft painting services provided by its subsidiary S7 Engineering. There are plans to open a new paint shop in support of the company’s current painting facility at Mineralnye Vody airport. No location for the future new operation has been chosen yet. Engineering will repaint a total of 13 Airbus A319/A320 and Boeing 737-800 narrowbodies for Rossiya. The first two Boeing 737-800s got its new livery at Mineralnye Vody in December. The last repainted aircraft is expected to be returned to the customer in the spring of 2017. The Russian MRO provider says it won the Rossiya contract by offering more appealing prices and completion times than the other bidders. Rossiya’s decision to split the painting tender into several lots was likely caused by the carrier’s desire to complete the application of the new livery to its fleet as soon as possible. The new paint scheme is part of the airline’s massive rebranding campaign. In mid-December Rossiya reported that 40% of its fleet had been repainted in the new colors. The Engineering paint team has prior experience working with Rossiya’s new complex livery: one of the carrier’s A319s was repainted in the new colors at Mineralnye Vody this past spring. The company’s representatives say the Rossiya order filled in the painting facility’s last remaining slots for the winter and spring of 2017. Panshin says the large contract with Rossiya has prompted Engineering to decline subsequent painting orders from several Russian and foreign carriers. Even though the current deal with Rossiya stands out in terms of its size, Engineering predicts that the structure of the Russian commercial fleet will be changing significantly in the next five years. The number of commercial airliners is set to grow, which will result in greater demand for maintenance services, including painting operations. The holding might open a new painting facility in the near future. Panshin declined to specify where it might be located, but stressed that the new paint shop would be “more advanced and hi-tech” than the company’s Mineralnye Vody operation.